In what sounds like a repeat newsbit from three weeks ago, HTC lowered its outlook for the fourth quarter Wednesday, reports Forbes. (s twx) On Oct. 31, when the company released third quarter earnings data, it already said the fourth quarter would be flat at best. But now, the near future looks much worse with lowered expectations from the already lowered expectations. Confused yet? Last quarter, HTC reported record sales, revenues and profit: $135.8B TWD ($4.46B USD) in revenues, to be exact. However, the company then told investors to expect revenues to decrease in the fourth quarter on an expected 12 to 13 million smartphone sales. This sales estimate would actually be lower than the 13.2 million smartphones sold in the prior quarter; and this is during a holiday season, when sales should be high. Now HTC is suggesting revenues for the quarter will only be $104B TWD; a marked drop. HTC continues to build excellent handsets. 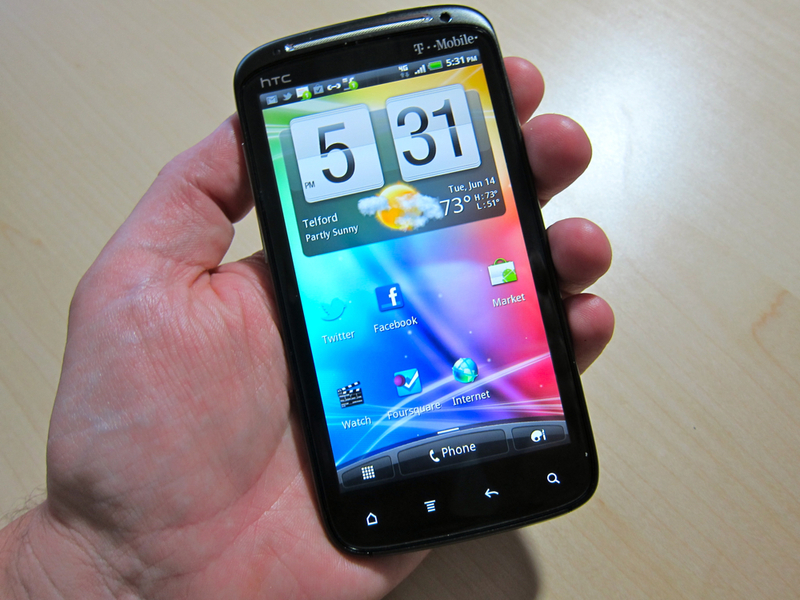 Back in June, I suggested that the HTC Sensation was the best handset available for T-Mobile customers, for example. And the company continues to innovate and add value by maturing its HTC Sense software interface that helps make Android smartphones easier to use. But after that, HTC is essentially just another Android phone maker in a growing sea of other Android phone makers. Buying lifestyle brands, such as Dr. Dre’s Beats, won’t solve the problem, as Om alluded to when HTC spent $300 million on the purchase. I could be wrong, but all signs are pointing to HTC’s moving from a rising meteor to a falling star as it struggles to determine where the next batch of growth will come from. While HTC does build great hardware, most handsets are subtle variations on a theme. Instead of making a great flagship phone every six to 12 months — a strategy that works well for both Apple (s aapl) and Samsung — HTC is continuously churning out bland designs that vary little from phones just a month prior. Doing so waters down the brand; something Nokia(s nok) may have faced with the dozens of Symbian handsets it used to offer. And while HTC reaped the rewards of jumping on the Android bandwagon early, Samsung, ZTE, Huawei, LG, Motorola (s mmi) and others are now riding along too. It’s harder to stand out from the growing crowd, especially when many HTC phones look so similar to each other in the first place. And although margins aren’t as good on the low-end, HTC typically focuses on high-end products; maybe there’s an opportunity there for low-cost handsets that could be sold through pre-paid channels? Perhaps the company should look to branch out with new products. It’s already in the tablet game with the HTC Flyer, a 7-inch Android slate with support for digital ink, and could be looking to build Google Chromebooks. Both paths are fraught with risk, however. Android tablets aren’t selling as well Apple’s iPad, and now the $299 Flyer is competing against the $199 Kindle Fire (s amzn) and $249 Nook Tablet(s bks). And by all measures, Chromebooks are selling even worse than Android tablets, so there’s limited success potential there for HTC. As they say, some stars shine brightly, but only for a short time. Let’s hope HTC’s meteoric rise doesn’t burn out quickly.